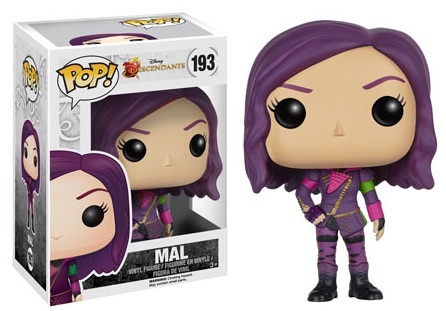 In a live-action world where iconic Disney characters coexist, Descendants primarily follows the story of the children for some of the most famous villains and heroes in a musical format. 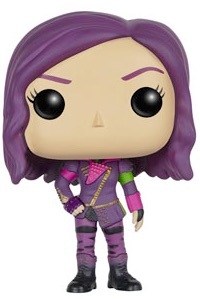 This is where 2016 Funko Pop Descendants vinyl figures come into play. The initial line includes the four main offspring of the villains. 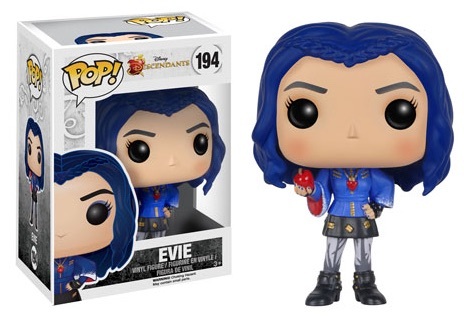 Funko Pop Descendants features Mal, the daughter of Maleficent, Carlos, the son of Cruella de Vil, Jay, the son of Jafar, and Evie, the daughter of the Evil Queen. 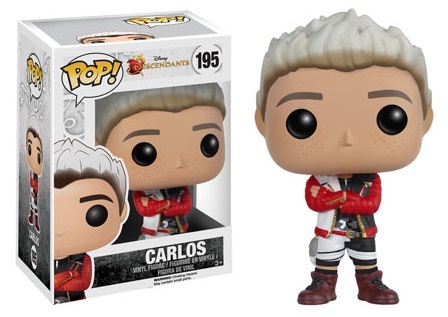 The movie also includes children for the heroes, but they were not featured in the figure line. The basic plot revolves around the villains and their children as they attempt to escape their imprisonment on the magic-less Isle of the Lost. Popular with both children and adults, the made-for-television film earned critical praise and strong viewership that resulted in a sequel slated for 2017 and a short-form animated series. 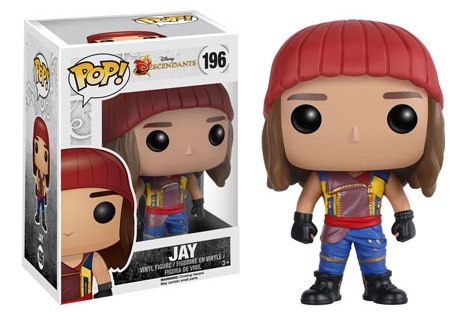 Each of the Funko Pop Descendants figures stands approximately 3 3/4" tall. 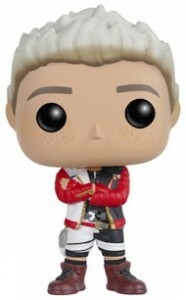 The line is numbered as part of the main Pop! Disney line.